Over the last week, Sony's been slowly trickling out a few teaser clips for something in the PlayStation line. While some were quick to think the console manufacturer was plotting some sort of crazy reveal, others instantly saw the connection between the new teasers and last year's "Michael" commercial. Their newest commercial, the one you see at the head of this post, is called "All-Star." It's a promo for the upcoming Super Smash Bros. Brawl rip (yeah, I said it) called PlayStation All-Stars Battle Royale. 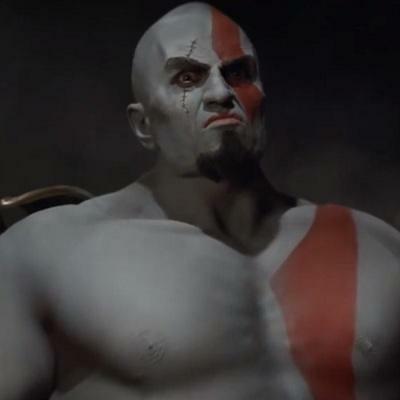 The live-action video pits Kratos against Sack Boy, Nathan Drake and Cole MacGrath from inFamous. There's also a nod to the real-life, human gamer towards the end. Listen, I'm all for great live-action commercials that make me feel like gaming can be really cool. Sure, the Kratos bits here were a little cheesy, but the overall production was solid enough to make me think, "heh, neat." What I'm not excited about, however, is the notion that Sony just spent a week teasing a live-action commercial…again. We did this last year for "Michael," a commercial that drew a few murmurs of "cool" and "wow" from the gaming faithful, but that ultimately didn't contribute anything to the PlayStation brand that we can actually play. Tease games, don't tease teasers for games.